Mustela erminea were introduced to Terschelling Is. (Netherlands) to control water voles (Arvicola terrestris), which are now extinct on that island (Van Wijngaarden et al. 1961).Mustela erminea were originally transported to rabbit-infested pastures in New Zealand for rabbit control. Recommended citation: Global Invasive Species Database (2019) Species profile: Mustela erminea. Downloaded from http://www.iucngisd.org/gisd/species.php?sc=98 on 22-04-2019. Trapping is widely used to remove stoats (M. erminea) from game estates in UK and conservation reserves in New Zealand. Trapping is effective when very intense, but is rapidly countered by immigration (McDonald & Harris 2002). Leg-hold traps are still legal for the moment, but likely to be banned in the forseeable future; the first humane trap, the \"Fenn\", developed in UK in the 1950s, was better but does not meet current standards. New, more humane traps, are being developed. There are no poisons currently registered for use against stoats, but they are often killed by secondary poisoning after operations targetting possums and rats. Please follow this link to read more on the management of stoats compiled by the ISSG. Informations on Mustela erminea has been recorded for the following locations. Click on the name for additional informations. Agnew, D. 2003. Invasive Aliens Species Management in the Fiordland National Park � World Heritage Area (New Zealand). In: De Poorter, M. (Ed.). 2003. Aliens (17): 32-33. Summary: Aliens is the bi-annual newsletter of the IUCN SSC Invasive Species Specialist Group (ISSG). Its role is to put researchers, managers and/or practitioners in contact with each other and to publish information and news of alien invasive species and issues. Summary: Impacts of stoats on Kiwi in New Zealand. Clapperton, B.K. and Day, T.D. 2001. Cost-effectiveness of exclusion fencing for stoat and other pest control compared with conventional control, Department of Conservation Science Internal Series 14. Department of Conservation: Wellington. Clapperton, B.K., Robbins, L., Porter, R.E.R. and Tallentire, K. 2006. Testing the Attractiveness, Palatability and Longevity of Stoat Lure and Bait Formulations, Department of Conservation Research and Development Series 241. Department of Conservation: Wellington. Summary: Management and control of stoats in New Zealand. Summary: Impacts of stoats on New Zealand forest birds. Eason, C.T and Wickstrom, M. 1997. Vertebrate Pesticide Toxicology Manual (Poisons): Information on Poisons Used in New Zealand as Vertebrate Pesticides (2nd ed. ), Department of Conservation Technical Series 23. Department of Conservation: Wellington. Summary: Impacts of stoat predation on New Zealand forest birds. Fitzgerald, G., Fitzgerald, N. and Wilkinson, R. 2005. 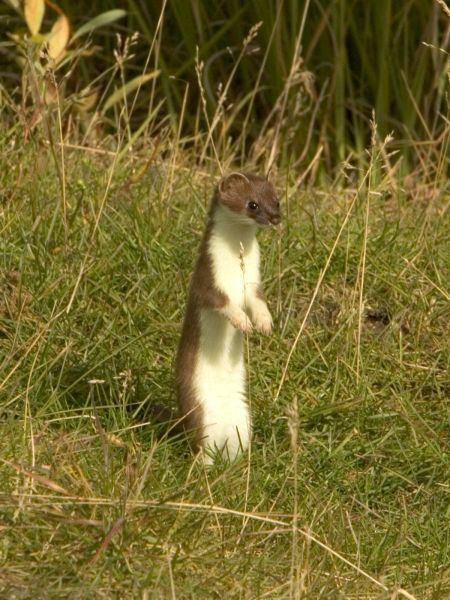 Social Acceptability of Stoats and Stoat Control Methods: A Survey of the New Zealand Public, Science for Conservation 253. Hamilton, B. 2004. Using colour to increase stoat (Mustela erminea) trap catch, Department of Conservation Science Internal Series 187. Department of Conservation: Wellington. King, C.M. 1994. Monitoring and Control of Mustelids on Conservation Lands: Part 1: Planning and Assessing an Operation, Department of Conservation Technical Series No. 3. Department of Conservation: Wellington. Lawrence, B.L. and O�Donnell, C.F.J. 1999. Trap Spacing and Layout: Experiments in Stoat Control in the Dart Valley, 1992-95, Science for Conservation 118. McDonald, R.A. and Lariviere, S. 2001. Diseases and Pathogens of Mustela spp., With Special Reference to the Biological Control of Introduced Stoat Mustela erminea Populations in New Zealand, Journal of The Royal Society of New Zealand 31 (4): 721-744. Summary: Impacts of stoat predation on kiwi. 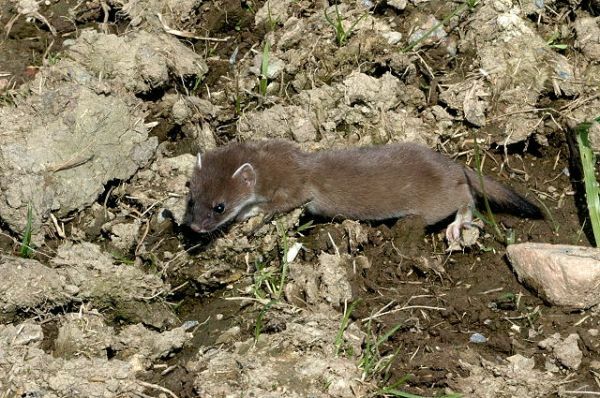 Summary: Control and management of stoats in New Zealand. Murphy, E. C.; Fechney, L. 2003: What s happening with stoat research? Fifth report on the five year stoat-research programme. Wellington, Department of Conservation. pp. Summary: Status of and issues with stoat predation research in New Zealand. O Donnell, C. F. J. 1996: Predators and the decline of New Zealand forest birds: an introduction to the hole-nesting bird and predator programme. New Zealand Journal of Zoology 23: 213-219. Page, Amanda; Win Kirkpatrick and Marion Massam, July 2008, Stoat (Mustela erminea) risk assessment for Australia. Department of Agriculture and Food, Western Australia. Ragg, J.R. and Clapperton, B.K. 2004. Ferret Control Manual. (Prepared for: Animal Health Board, Wellington). Smith, D. and Jamieson, I.G. 2003. Movement, Diet, and Relative Abundance of Stoats in an Alpine Habitat, Department of Conservation Science Internal Series 107. Department of Conservation: Wellington. Spurr, E.B., O�Connor, A.T., Airey, A.T. and Kerr, J.H, 2002. FeraCol� for the Control of Stoats (Mustela erminea), Department of Conservation Internal Series 61. Department of Conservation: Wellington. Van Wijngaarden, A.; M�rzer Bruijns, M. F. 1961: The ermine Mustela erminea L., on the island of Terschelling. Lutra 3: 35-42. Summary: Notes on introduction of stoats to the island of Terschelling. BirdLife International 2007. Species factsheet: Xenicus gilviventris. Elliott, G. P.; Dilks, P. J.; O Donnell, C. F. J. 1996: The ecology of yellow-crowned parakeets (Cyanoramphus auriceps) in Nothofagus forest in Fiordland, New Zealand. New Zealand Journal of Zoology 23: 249-265. Summary: A comprehensive description of the biology of stoats and weasels. Now out of print, but a new edition was submitted in January 2004 for publication by Cornell University Press, date not yet determined. Summary: A comprehensive description of the biology of stoats and weasels. Expert on mustelids and rodents. Dept Biological Sciences, Private Bag 3105 Hamilton New Zealand.